The study of history provides a critical knowledge of the institutions and values of the global world in which we live. As a History major, you will learn how to analyze and assess primary and secondary sources, how to build an argument, and how to write and communicate effectively. These critical thinking skills can be translated into all areas of life, and will prepare you for a variety of careers. Below are some graduates who have used their history major to pursue various careers and fields of post-graduate study. 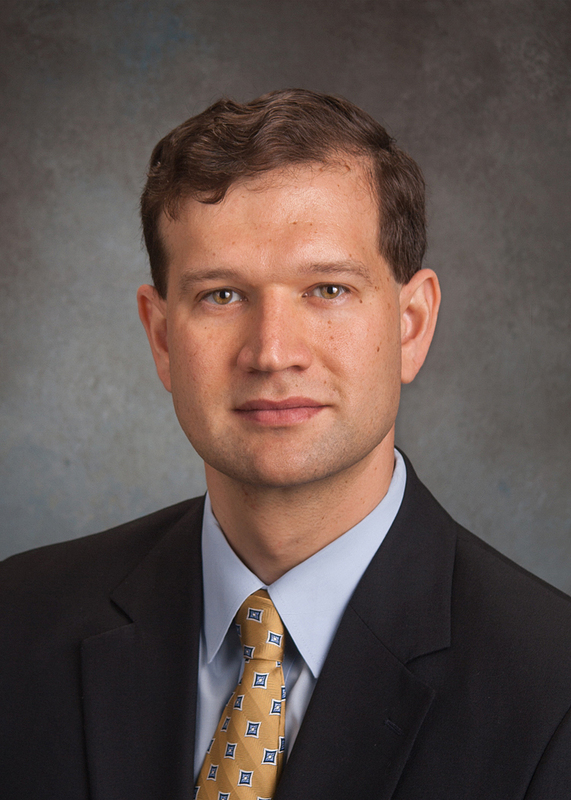 Josh Borderud is an attorney with the Waco law firm of Pakis, Giotes, Page & Burleson, P.C. His primary areas of practice are civil litigation, commercial litigation, and family law. He has tried over twenty cases to jury verdict as lead counsel. In his previous employment, he served as an assistant district attorney in Milam County, Texas. In 2015, he was named the Outstanding Young Lawyer of McLennan County by the Waco-McLennan County Young Lawyers Association. "As a history major, I learned valuable research, writing, and critical thinking skills that I use on a daily basis as a practicing attorney. I am deeply grateful to the faculty of Baylor's history department who cultivated in their students nuanced habits of the mind, including analytical rigor,the importance of social context, and the value of effective written and oral communication. The mentoring I received from Baylor history professors while I was a student benefited me long after graduation." Madison Cloud is from Tulsa, Oklahoma. She was drawn to Baylor because she knew she would receive a quality well-rounded education built on a strong Christian foundation. She was also excited to share Baylor with her parents, both proud Baylor alumni. Madison majored in History and minored in English and Spanish. Her parents encouraged her in this decision based on the belief that a degree in the humanities would equip her for many options post-graduation rather than one set career path. As a senior applying to graduate schools, Madison certainly found this to be true. She applied and was accepted to four different Masters programs in education and educational psychology. Although she was prepared to defend her qualifications in her application interviews, she found that every school representative she spoke with was excited about her academic background and respected the skills she had acquired. Having a degree in the humanities taught her to read and write well, to synthesize information into a cohesive narrative, to see issues from multiple perspectives, and to form and clearly articulate her own ideas. 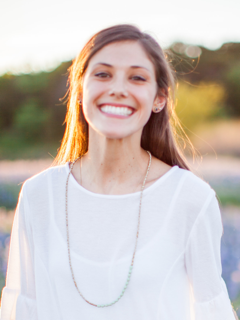 This summer, Madison will begin pursuing her M.S.Ed. in Educational Psychology at Baylor. She hopes to become a Board Certified Behavior Analyst for children on the autism spectrum and to eventually pursue a Ph.D. in Autism Intervention Studies or Educational Psychology. 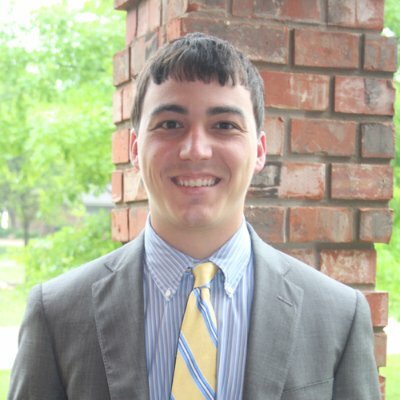 Collin Cresson graduated from Baylor University in May of 2015 with a BA in History and Political Science. Beginning in December of 2014, he worked for Representative Bill Flores as a constituent services liaison. In this position, he helped constituents of Texas' 17th Congressional District navigate entanglements with federal agencies such as the Department of Veterans Affairs, the Social Security Administration, and the Department of State. In April of 2016, Collin moved to the private sector when he began working at Bridgewood Properties, a real estate company that specializes in both residential and commercial appraisals and operates in Central Texas. He is also pursuing his MBA through West Texas A&M University. "The purpose of a liberal arts education is to broaden perspective and deepen understanding. The History Department at Baylor University provides its students with an excellent environment in which to explore the social, cultural, and political realities of yesterday and to recognize how their legacies are felt today. During my years of study, I learned to think critically, to research thoroughly, and to communicate effectively. These are marketable skills and are essential for any graduate entering the workforce or applying to graduate school. I will forever value the time I spent in the History Department; the faculty are experts in their fields of study, the staff is immensely helpful, and the students bring a variety of perspectives to each topic of discussion. I highly recommend Baylor University's History Department to any prospective student who is passionate, motivated, and deeply curious about how the past continues to influence the present." I feel incredibly blessed to be in my dream job as a park ranger at Washington-on-the-Brazos State Historical Complex. I work at the park's Barrington Living History Farm, which is the home of Anson Jones, last president of the Republic of Texas. Dr. Jones signed Baylor’s charter in 1845, so I encourage any Baylor Bear to stop by while visiting nearby Independence. 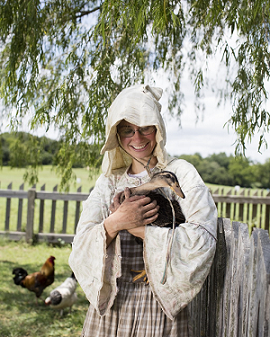 Barrington is an actual working farm, so I get to dress up in 1850's attire and take care of chickens and ducks, work with oxen, manage the kitchen garden, give school tours, cook over an open fireplace, talk to visitors, and go to awesome Texas Parks and Wildlife interpretation classes and conferences. And I’ve learned a lot of things that are not exactly common for your first year on a job, like: always sing your chickens a bedtime song when trying to put them in their coop; remain calm and do not pull your foot out when stepped on by an ox; and: it’s all fun and games ‘til you get fire ants in your corset. Before I came to Baylor I had volunteered at Barrington and knew it was exactly what I wanted to do, so I chose my major and minor with this specific goal in mind. I knew that a solid foundation in American History would be invaluable, as would skill in research and writing. Museum Studies was a perfect complement to my history major, teaching me how to use material culture to make history come alive for visitors. I loved Baylor and greatly enjoyed all my classes and professors. Since Dr. Sweet did living history at Colonial Williamsburg, her classes in particular helped prepare and inspire me for engaging the public with living history. My job is everything I hoped it would be and each day is a new adventure. I would definitely encourage anyone looking for a fulfilling career to pursue the exciting field of historic site interpretation. 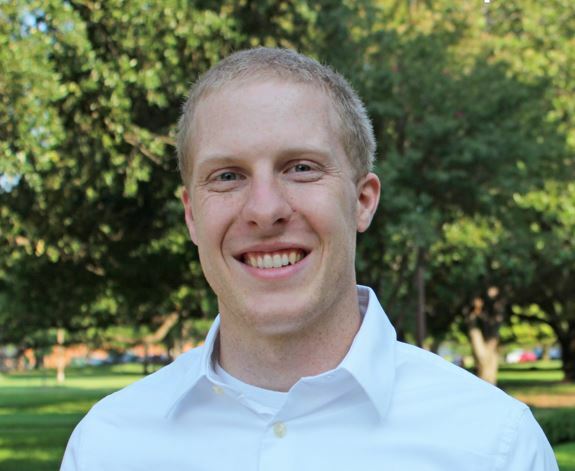 "I have worked at Baylor since 2012 in the Undergraduate Admissions department. I love the work that I do and chose a career in higher education because of my experience in the classroom as an undergraduate history major at Baylor. The close, caring community of faculty within the history department left an indelible mark on my undergraduate career. Whether it was through meeting with professors outside of class, or working with faculty to create a unique and personalized independent studies course, it was clear to see that professors at Baylor care about their students. “Studying history gave me the opportunity to critically analyze and interpret the past in all its complexity. Additionally, through the classes I took, I was challenged to think about how what has happened can and will influence the future. I was challenged to find my place in history and use my knowledge from the past to make the world a better place. The skills I learned in my history classes have been invaluable in my role within Undergraduate Admissions, as I am constantly looking back, at past events and statistics, to interpret and predict the future. Having those critical thinking skills and the ability to look back in order to envision what the future might hold has helped me succeed and thrive within my role at Baylor." 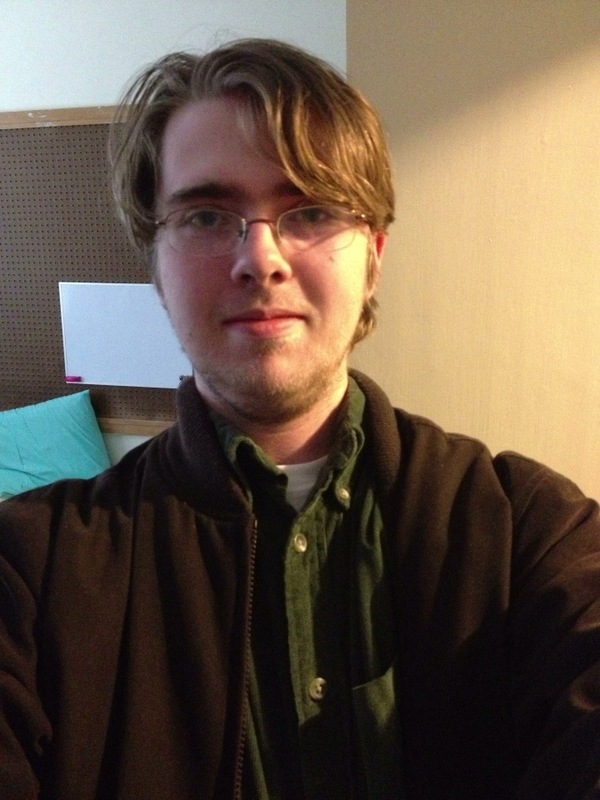 "I am currently pursuing a Bachelors of Arts in History and Film and Digital Media. I chose to study history because of its concrete nature. By reading about historical people and events, I am able to see worlds that no longer are, while also gaining a fuller understanding of the world that is. History also helped me prepare for a career because it demands the ability to make clear, concise, and logical arguments, research effectively and judiciously, write succinctly, and critically analyze problems against a background of broad social information." Katie is currently working toward an MA in Slavic and East European studies at The Ohio State University. 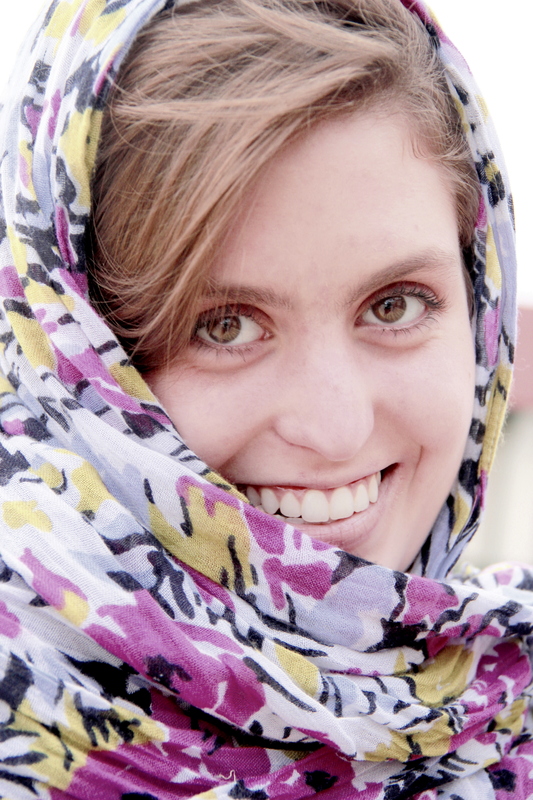 There, she studies both Russian and Uzbek, as well as a wealth of other topics related to the region. Upon completion of this degree, she plans to begin a PhD in History and pursue a career as a university professor. She is primarily interested in Soviet health care, bio-medical research, and scientific discourse. While at Baylor, she majored in both History and Economics. Her long-standing passion for history originally drew her to the major, and her interest was largely intrinsic. After a few semesters as a history student, she decided to turn her passion into a more tangible vocational goal. "The study of history splendidly augments nearly all other fields," says Katie. "It provides both crucial context for understanding the present day and excellent training in critical thought. Aside from the splendor of history itself, I thoroughly enjoyed studying under and getting to know such a superb collection of faculty members in the department!" 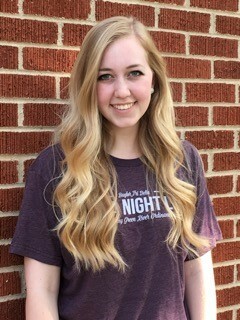 As a senior in high school, Anna was excited to attend Baylor, but had no idea what she wanted to study as a major. She loved history, but felt unsure about the future job possibilities a major in history could provide. The incredible faculty of the history department encouraged her to pursue her passion and worked alongside her to find a career path that embraced her love for history, teaching, and people. The classes Anna took while earning her degree allowed her to read scholarly literature, think critically about texts, and formulate arguments using evidence. Every individual needs to be able to analyze information and articulate ideas clearly; a degree in the humanities cultivates these skills. Anna graduated with a major in history and a minor in religion. She enjoyed her time at Baylor in the history department so much that she chose to stay to earn a Master’s degree in medieval religious history. She hopes to earn a PhD in medieval religious history and become a professor at the collegiate level. 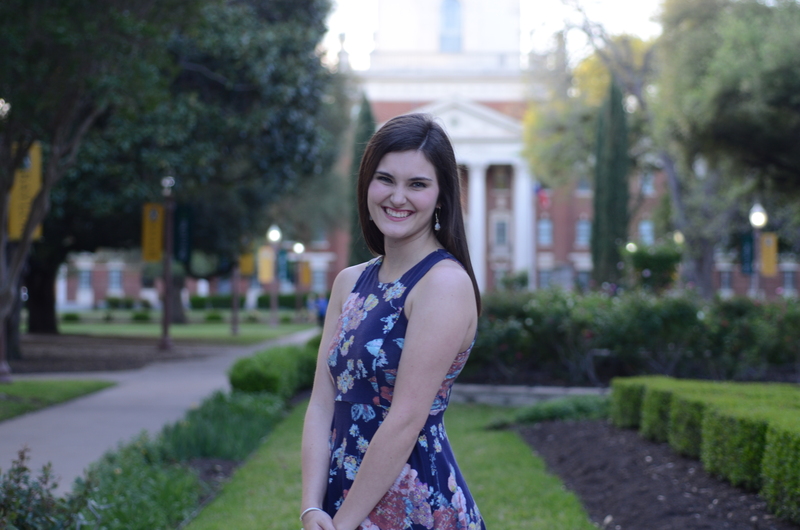 When Macie came to Baylor University, she knew she wanted to go to law school, so finding a major that would best prepare her with critical thinking and writing skills was important. Having a natural interest in history, she decided to speak with Dr. Kellison, the chair of the department. The conversation confirmed to Macie that history would be an excellent foundation as a pre-law student, and it proved to be one of the best decisions she made at Baylor. The history department at Baylor consists of professors, who are passionate about their fields of study and offer in-depth analysis in their classes. They also challenge students to expand their knowledge and abilities, while caring for their students. Macie relied on her professors on countless occasions for assistance with the material, and they always provided her with the guidance that she needed to succeed. 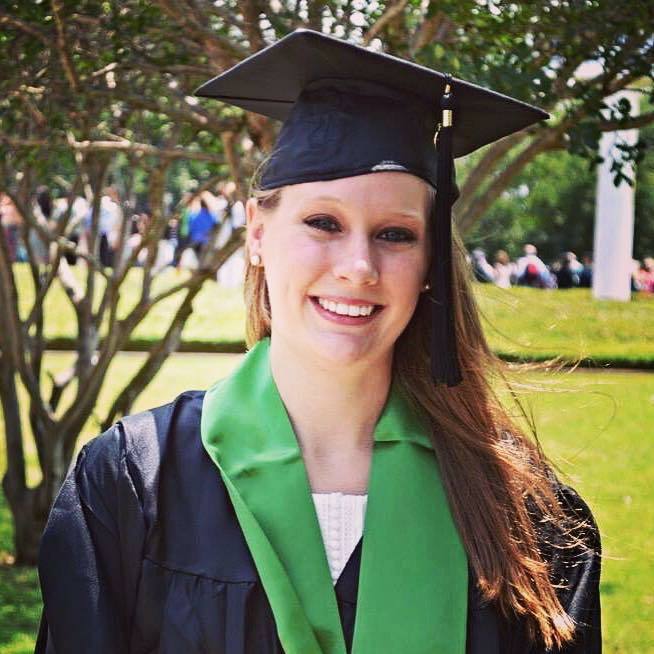 Baylor’s history program helped to prepare Macie with the skills needed to attend law school, but also her acceptance into law school. She will be attending the University of Virginia School of Law in the fall of 2016. Callie Watt is the Historical Manuscripts Consignment Coordinator in the Historical department at Heritage Auctions in Dallas, TX, the largest auction company in the US and the third largest in the world. In this position, Callie handles and researches consignments and prepares them for auction. Consignments Callie works with range from letters, Civil War diaries, flags, novels, and currency. Callie hopes to stay with Heritage Auctions and further her career with the company. "As a history major, I learned valuable skills that I use on a daily basis at work, including proper research, analyzing, critical thinking, and writing skills. I always loved history, and the faculty of Baylor's history department encouraged me to further pursue my passion in history and were always there to offer guidance and advice. Their passions for their field had an immense impact on me as a history major."